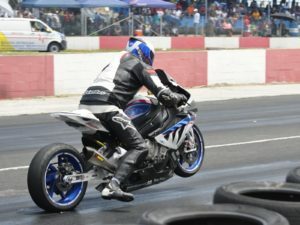 Saturday 2 March, sees the first round of the 2019 Drag Racing series at Killarney International Raceway, as well as Round 1 of the Short Circuit championship for lightweight motorcycles and racing cars – and one ticket gets you in for both. This is professional-level drag racing, with an American-style Christmas tree at the start and a full timing system that records your elapsed time, your speed at the end of the strip and even how long it takes you to get off the line after lights go green – which can be a little embarrassing if you’re not ready for just how fast everything happens! 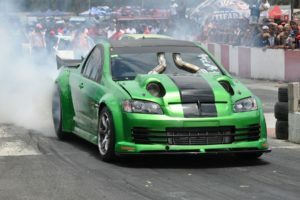 There are classes for Street cars, modified cars – including the spectacular supercharged and nitrous-boosted V8 monsters – superbikes and screaming Pro Street motorcycles, capable of shredding the quarter mile (402 metres) in less than nine seconds from a standing start. Grudge matches are the order of the day, producing hair-raising launches and spectacularly close racing, but at the end of the day the winner of each class is decided on his or her fastest time of the day, rather than who they were racing against at the time. The one exception to this is Bracket Racing, where the starting lights are staggered to allow drivers in different classes to compete head to head – and whoever crosses the line first is the winner! 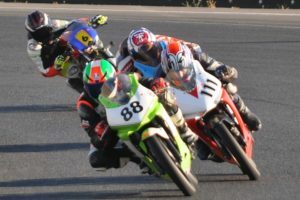 What makes this class of racing very tricky is that before the race each competitor must declare the fastest time he thinks he can do and that is used to set the difference between the starts. If he runs faster than his declared time, however, he is ‘out of his bracket’ (hence the name) and is disqualified. At the same time, at no extra cost for spectators, there will be a full program of Short Circuit racing on the ‘Half Main’ circuit which includes G-Energy Corner, the infamous ‘kink’, the bumpy, downhill Rose Foundation Sweep and a purpose-built link from the Joubert Straight to the exit of KFM Corner in a tight, demanding one-kilometre circuit – and the best part is, you can sit on any of the stands and see almost the entire circuit. 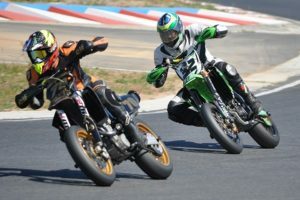 There will be classes for 150cc motorcycles (with separate races for riders over and under 18 years of age), Super Singles (180cc two-stroke and 260cc four-stroke motorcycles), motards (insanely quick off-road motorcycles running on road-racing wheels and tyres), Class X (lightweight Powersport machines such as KTM RC390s, Kawasaki 300 Ninjas and Yamaha R3s) as well as Formula M cars – miniature F1 replicas powered by motorcycle engines. The Trackside Bar and Grill at the Clubhouse will be open from 2:00pm till late , the New Pits Lounge will offer fine food, ice-cold drinks, big-screen TVs and comfortable seating with a spectacular view of the drag strip from 9:00am till late and the Karting Clubhouse will be open from 9:00am till 6:00pm; there will also be food vendors around the circuit. The gates open at 7.00am and the action starts at 9:00am; entry to both events is on the same ticket at R80 for adults, R20 for scholars under 16 and free for under 12s.